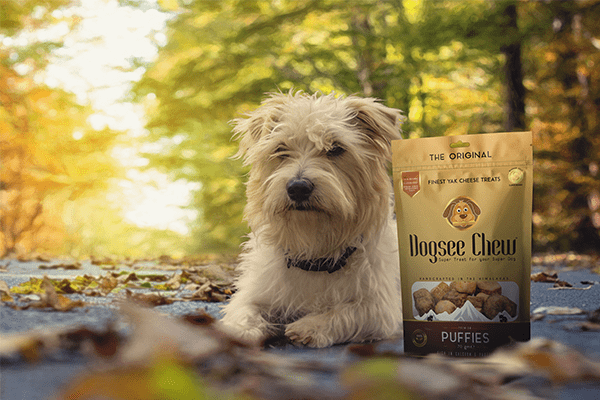 Dogsee Chew Puffies are energy snacks for your growing puppies that are both crunchy and tasty. 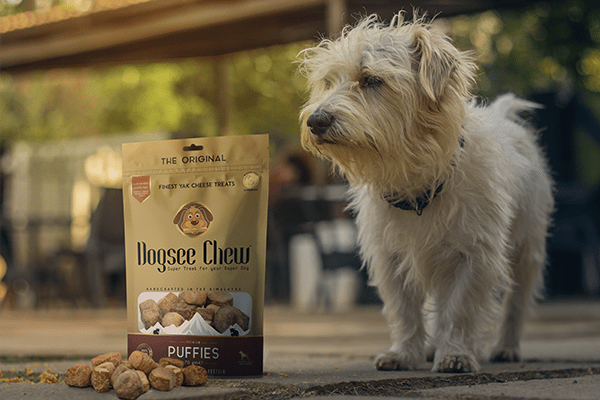 These small, puffed-up bite-sized treats pack in the natural goodness of the Himalayas and can be directly consumed by your dog. These natural & vegetarian dental chews are rich in protein and low on carbs, in addition to being easily digestible. 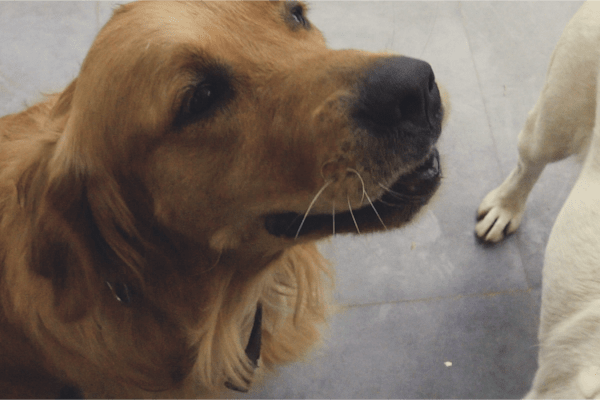 Their cheesy flavour makes them extremely delicious for your furry friends. 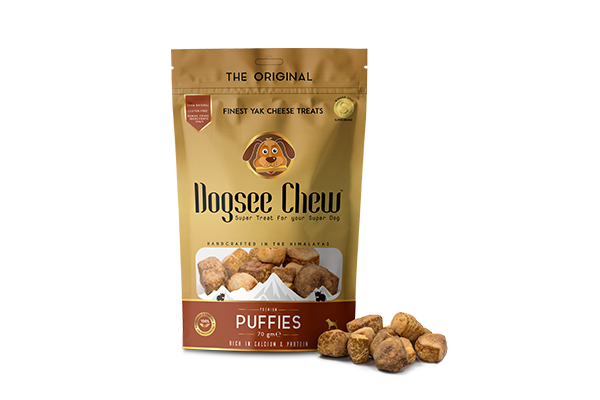 Dogsee Chew Puffies, handcrafted in the Himalayas, are the perfect wholesome treat for your dogs. 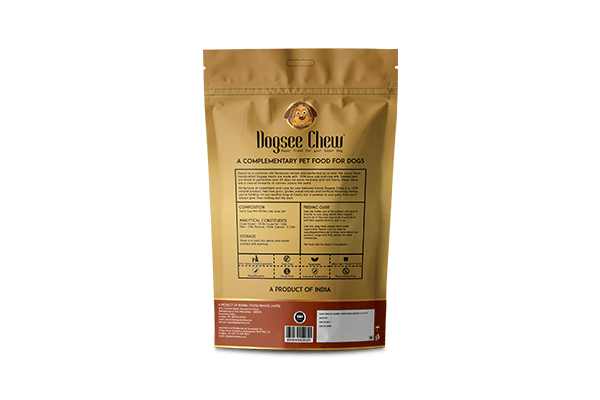 Dogsee Chew Puffies have been specially made as a mouth-watering treat for your dogs and are ideal as an anytime snack. When you are enjoying a bowl of popcorn while watching a movie, your dog too can munch on these Puffies beside you. These nutritious Puffies are of high quality as it has more protein and fewer carbs, they are ideal for every dog breed.